On the occasion of the premiere of Odaline de la Martinez‘s new opera Imoinda in the London Festival of American Music, historian Sophie White, political activist and writer Candace Allen, travel writer Michelle Jana Chan, and research fellow Kristy Warren join composer Odaline de la Martinez and Imoinda’s librettist Joan Anim-Addo in a discussion on Voices of the Enslaved, moderated by journalist and broadcaster Kevin Le Gendre. Extracts from Imoinda will be performed as part of the talk. The discussion will touch on voices both past and present, looking at the realities of Aphra Behn’s novel and how her characters’ stories were recorded, before asking how we now perceive these chapters of history, how we represent them today, and how future depictions might develop. Odaline de la Martinez celebrates her 70th birthday with the World Premiere of her complete opera trilogy: ‘Imoinda’: A Story of Love and Slavery on 27 February. Written to a libretto by Joan Anim-Addo, this is the first modern Afro-Cuban opera addressing slavery and the beginnings of Afro-Caribbean culture, taking inspiration from a novel by the first published female writer, the Renaissance figure Aphra Behn. Oroonoko, regarded as Behn’s finest work, tells the story of Oroonoko and Imoinda, two people who fell in love in Guinea and remarkably find each other again at a plantation in the West Indies, when they are both slaves. Aphra Behn lived a remarkable life as the first female writer to earn a living through her work, besides also working as a spy for King Charles II. Martinez has incorporated Afro-Cuban influences into her writing, including four percussionists using drums, guiro, claves, maracas, bongos and ago-go bells. Sophie White’s Intimate Voices of the African Diaspora, published later this year, uncovers the voices of enslaved Africans in colonial America through an exceptional set of source material: the court cases in which they testified. Leveraging the medium of testimony, these individuals produced riveting narratives that brought to the fore their intimate worlds. In recovering their voices, White allows us to know about these individuals by hearing their words, including the cadences of their speech, the snatches of creole, the colloquialisms, metaphors and emotions that seep through their transcribed testimony. Candace AllenCandace Allen is a writer, director and screenwriter. She studied at Harvard and the New York University School of Film & Television, and went on to become the first African-American female member of the Directors Guild of America. Candace’s first novel, Valaida, was based on the life of entertainer and jazz trumpeter Valaida Snow. Consequent to her campaign-long commitment to the election of Barack Obama she became a newspaper and broadcast commentator on American politics, race and culture, and writes regularly for the Guardian.Joan Anim-AddoDr Joan Anim-Addo is Professor of Caribbean Literature and Culture at Goldsmiths, University of London. Her publications include the libretto, Imoinda or She Who Will Lose Her Name; the poetry collections, Janie Cricketing Lady and Haunted by History; the histories, Sugar, Spices and Human Cargo: An Early Black History of Greenwich, and Longest Journey: A History of Black Lewisham; and the literary history, Touching the Body: History, Language and African-Caribbean Women’s Writing. Co-edited books include Interculturality and Gender, and Caribbean-Scottish Relations: Colonial and Contemporary Inscriptions in History, Language and Literature. Co-edited Special Issues include the Feminist Review Co-edited Special Issue volumes, Affect and Creolisation and Black British Feminisms, as well as ‘Perspectives from the Radical Other’, SYNTHESIS Special Issue (online). She has recently co-edited with Maria Helena Lima, The Power of the Neo-Slave Narrative" A Special Issue in 2 Volumes for Callaloo: Journal of African Diaspora Arts and Letters. Michelle Jana ChanMichelle Jana Chan is the Editor of Vanity Fair On Travel. Her debut novel, Song, was published by Unbound in July 2018. She is a BBC presenter and video journalist on The Travel Show, and Contributing Editor at Condé Nast Traveller where she had a weekly column for a year Where I want to be right now. She was formerly Deputy Editor of The Telegraph’s Ultratravel magazine and the Destination Expert on China, Cambodia, Nepal and the Himalayas for The Telegraph newspaper. She also writes for The Wall Street Journal, Travel and Leisure and Tatler. Odaline de la MartinezThe award-winning Cuban American composer-conductor Odaline de la Martinez is one of Britain’s most dynamic and gifted musicians. Through the years she has established an international reputation as one of the most exciting and versatile pioneers of 20th and 21st century music. In 1984, Martinez became the first woman in history to conduct a BBC Promenade Concert at the Royal Albert Hall, and 1987 she was awarded the Villa Lobos medal from the Brazilian government in recognition of her outstanding work promoting and conducting his music. 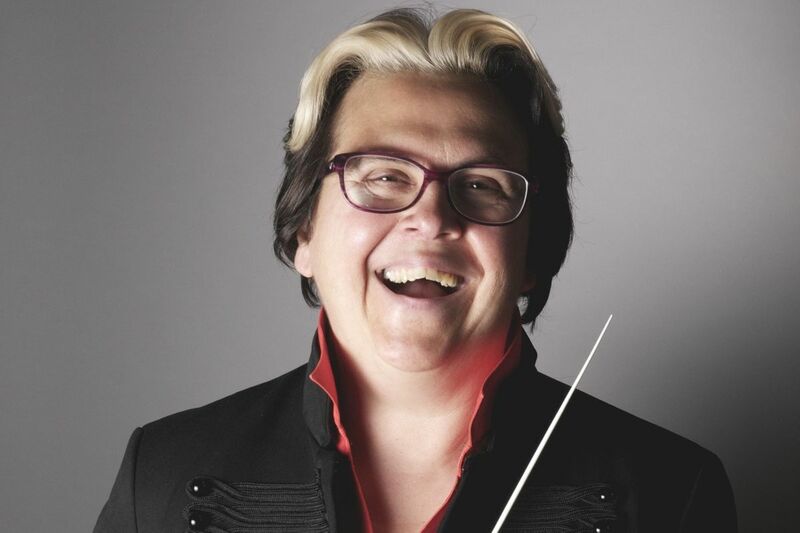 Martinez was made a fellow of the Royal Academy of Music in 1990, and to this day she is in demand throughout the world both as an orchestra and opera conductor, and with her ensemble Lontano.Kristy WarrenKristy Warren is a Research Fellow in the Centre for Research in Race and Rights (C3R) at the University of Nottingham. Kristy’s research has centred on the place of ‘race’ and class in colonial governance as practised in the British Overseas Territory of Bermuda. More broadly she is also interested in the socio-political histories of Caribbean islands that were once colonised by the British, and the lingering legacies of this past both in the Caribbean and the wider diaspora.Sophie WhiteDr Sophie White is Associate Professor of American Studies at the University of Notre Dame. A native of Mauritius, she is an historian of early American cultural encounters between Africans, Native Americans and Europeans. Her first book, Wild Frenchmen and Frenchified Indians: Material Culture and Race in Colonial Louisiana was published with the University of Pennsylvania Press) in 2012 and her latest book, Intimate Voices of the African Diaspora, will be out in Fall 2019 with the University of North Carolina Press. She is also co-editing (with Trevor Burnard) a volume on Slave Narratives in French and British America (Routledge, 2020) and is launching Hearing Slaves Speak, a digital humanities website on slave testimony.Kevin Le Gendre – ModeratorKevin Le Gendre is a journalist and broadcaster and writer with a special interest in black music. Deputy editor of Echoes, he contributes to a wide range of publications that include Jazzwise, MusicWeek, Vibrations and The Independent On Sunday and also appears as a commentator and critic on radio programmes such as BBCRadio 3’s Jazz Line-Up and BBC Radio 4’s Front Row.London Festival of American MusicCreated by the pioneering Cuban-American conductor-composer Odaline de la Martinez, the biennial London Festival of American Music aims to promote the work of outstanding American composers who are well established in America but less well-known to UK audiences.Running from 24 February – 2 March, the seventh appearance of the Festival this year places African-American composers centre-stage, showcasing the unjustly neglected music of ten African-American composers past and present in a song recital on 28 February, and the world premiere of Martinez’s complete opera trilogy: ‘Imoinda’: A Story of Love and Slavery, with a libretto by Joan Anim-Addo, as part of the composer’s 70th birthday celebrations.